I cannot tell you what a LONG week and weekend it has been being stuck inside with two sick and grizzly kids. All I can say is thank goodness for our playroom to keep them occupied. Oh yes - the new playroom! I promise to share some pictures of this space very soon... it definitely is the most utilised space in the whole house and totally makes all of that extension pain from last year well worth it. If you are going a bit stir crazy yourself in the cool weather, do yourself a favour and get a tepee - most played in/with this week for sure! 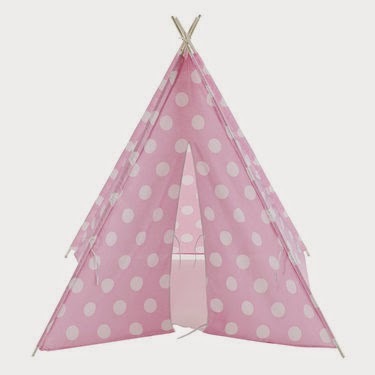 You know I cannot resist a pretty little bargain and so I had to share these stunning new teepees from Spotlight​. I know - Spotlight!! I couldn't believe the price either. 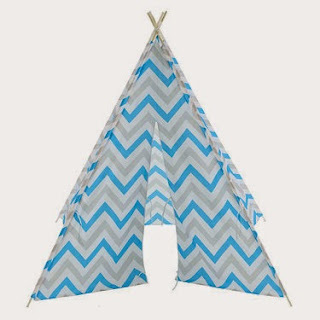 Only $45.49 at the moment - worth popping away for under the tree at that price don't you think? 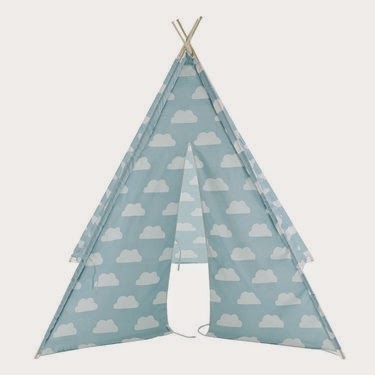 I wish we didn't have ours, so that I could grab the cloud one - super cute don't you think? Thank you so much for sharing this find. My daughters birthday is in a couple of weeks and I have been trying to find one for her. Will pop into Spotlight tomorrow and see if they have them. Thank you, she will love it!!!! My pleasure Kell, they are such a bargain! Love to know what you thought of them in real life?